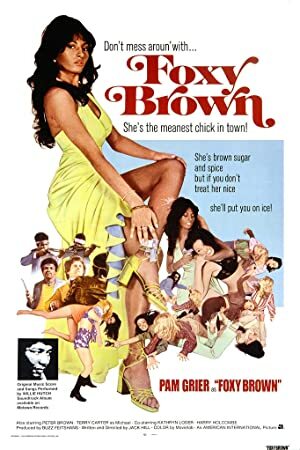 Having just watched Jackie Brown, we decided it was time to introduce Jena to the Blaxploitation sub-genre with another Pam Greer classic – Foxy Brown! Greer rocks a 70’s wardrobe in this film about revenge, revenge, and more revenge. If anyone can get revenge, it would be Pam Greer. 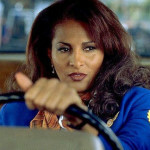 We share some information about Blaxploitation films and spend a lot of time appreciating Pam Greer. Because you really need to appreciate Pam Greer. Our next movie will be the only other Tarantino film Jena hasn’t seen – Django Unchained! 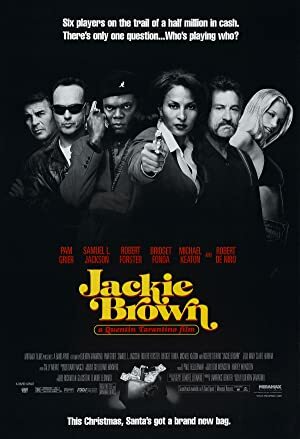 Plot: A voluptuous black woman takes a job as a high-class prostitute in order to get revenge on the mobsters who murdered her boyfriend.